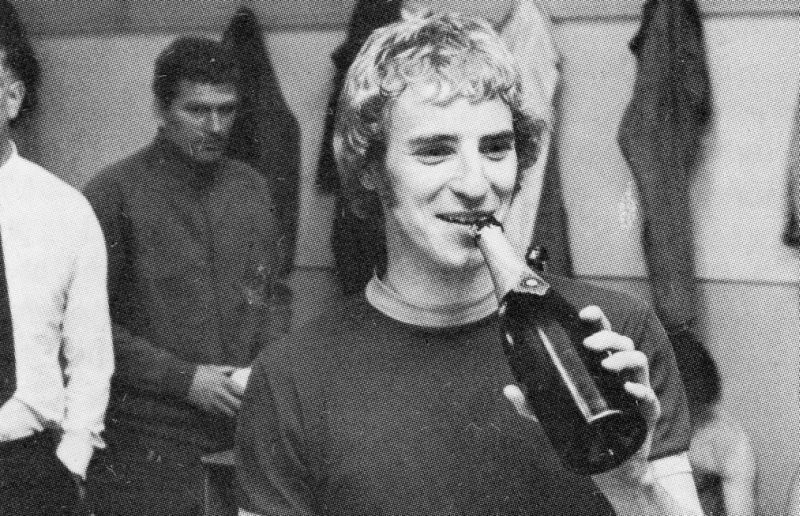 Looking back 45 years, this was a terrific week for Burnley Football Club. 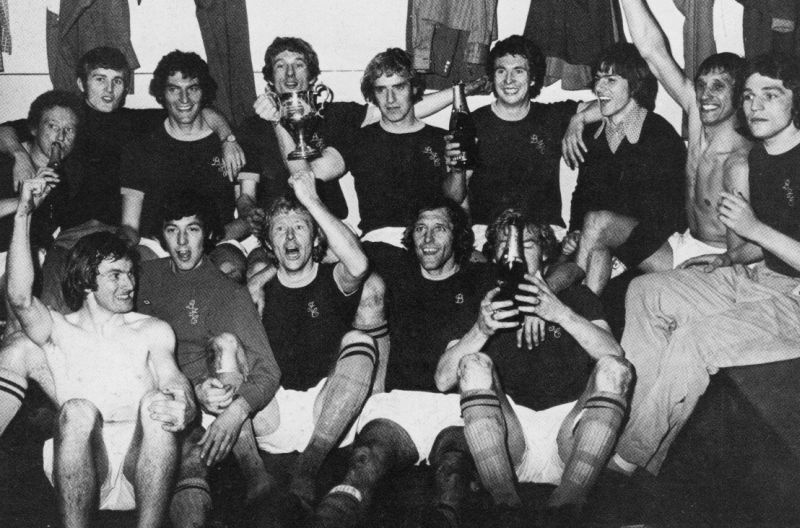 On Saturday 28th April 1973, we travelled to Deepdale to face a relegation threatened Preston North End team whilst ourselves only requiring one point to become champions of the Second Division. Burnley were preparing for a return to top flight football both on and off the pitch. During the 1967/68 season, the old cricket field end had closed to enable the building of the new cricket field stand which remains in place today. It opened in time for the start of the 1969/70 season, officially opened by Lord Rhodes, Lord Lieutenant of Lancashire, prior to a pre-season friendly against Middlesbrough. Immediately, the old Brunshaw Road stand and enclosure were closed and demolished with plans to build a new superb stand in its place. That never materialised and in April 1973 we still had a three sided ground with hoardings in place down the touchline. It had been five and a half years without firstly the cricket field end and then the Brunshaw Road side, but with Burnley already promoted, the club revealed on the Tuesday prior to the trip to Preston that, finally, a new stand would be built. In an interview with the Burnley Express, chairman Bob Lord said that work would start on the new stand within two weeks, it would cost the club a massive £200,000 and would be ready to open at some time during the 1973/74 season. It would make Turf Moor a stadium to be proud of. “I think we have got our priorities right,” said Lord. “We could have started to build the stand 12 or 18 months ago, but the team wasn’t too successful then. Now we have a successful team and can add facilities to go with it. “Of course, I am disappointed that we shall not have the stand ready for August when we return to the First Division, but we shall only be a few months late. Phase two, to follow immediately afterwards, would include reception rooms and private rooms for directors and guests, with a third phase to be added at a later date to include recreational facilities and a social club. With that news, all that was needed was that point at Preston on the Saturday to ensure QPR couldn’t get first place. The trip for us was like an all day party that started when we caught the train from Burnley Central at breakfast time. I’m not suggesting there was any early drinking but champagne was offered to other passengers including one bloke on his way to work in Accrington. He got drowned in the stuff. On arrival in Preston, I couldn’t even begin to list the pubs we called at but I do know that our last port of call before reaching the ground was the Sumners. 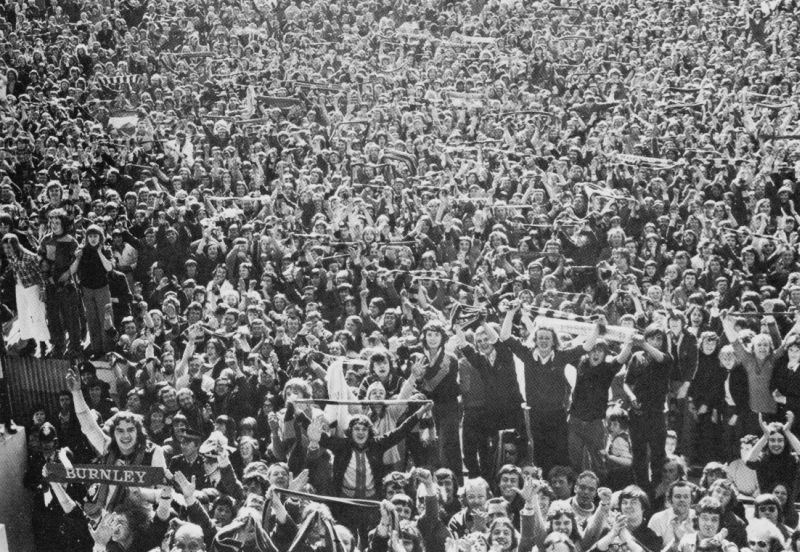 With news coming through that roads from Burnley were blocked due to the sheer numbers of travelling fans, we got inside the ground early and took our place on the Blackpool Road End which is where the Bill Shankly Kop now stands. It was a vital game for both teams. We needed that point for the title and they needed a point to ensure they weren’t relegated after a dramatic drop in form that had seen them win just once in 1973 in 16 games. From 8th place on New Year’s Day, they were now just two points clear of the drop zone and with a worse goal difference than next to bottom Huddersfield. Preston were worried. They were mainly worried about the wing play of Leighton James and so they made the decision to narrow the pitch by four yards to give him less room to play in. The new lines were bright, the old lines equally so and a net across the half way line would have made it look like some oversized tennis court. The scenes were incredible. Other than a small area to the side of the Pavilion Stand, it was a sea of Claret and Blue. Burnley fans were everywhere. It was estimated there were over 15,000 of our fans in the 21,550 crowd. I’d say that was a very conservative estimate. Teams didn’t come out together back then and Preston came out first. 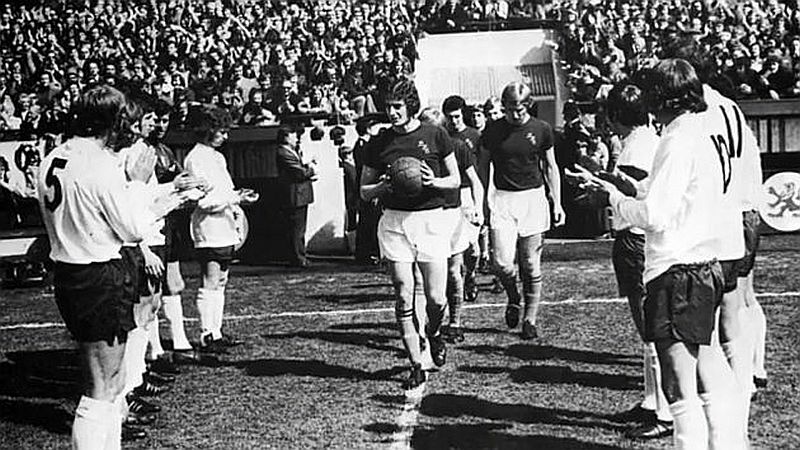 To their credit they gave us a guard of honour with Martin Dobson leading out a Burnley team to such a roar that I’m sure those who hadn’t made the trip could hear it in Burnley. Dobbo led his team to our end for what was then known as the kick in prior to the game starting. We didn’t get a classic, not by any means, but we got what we wanted. Right from the start, on a tense afternoon, we looked by far and away the better team. We weren’t at our best but we didn’t need to be against this Preston team. The home side struggled to come close to matching us in what looked as though it was going to be a goalless first half and their only tactic seemed to be to hit the ball as far down the pitch as possible and chase it. We dealt with it all comfortably until two minutes before the break when they hit another long ball down their left. It was just too high for Billy Ingham to deal with effectively and he could do no more than head it in the air. It fell just right for Alan Lamb who was clear of our defence. With us desperately trying to get back, Lamb ran 40-yards, pushed the ball to his partner Alex BRUCE who shot past Alan Stevenson from ten yards. What a blow. The players went in for half time wondering what had hit them. We were all subdued and wondering whether, right at the death, we were going to let QPR in for the title. We came out for the second half and just had to take the game to Preston, not as if we hadn’t been doing in the first half. You sensed it might not be our day when Eric Snookes cleared a Paul Fletcher header off the line. Then, just eight minutes into the half, we scored the goal that won the title. From Frank Casper’s throw in on the left, Martin Dobson sent an overhead kick to the edge of the penalty area for Colin Waldron to head the ball forward. It seemed to have been another disappointing attack when a Preston defender headed it out, but it was only half cleared back to WALDRON who hit a 25-yard volley that simply screamed into the top corner. I had the opportunity to speak to Waldron a while ago about the goal which he was able to recall the goal. Straight after the game he said: “Goal of the month? It must have been the goal of the season. I knew as soon as I hit it that it was a goal. Speaking last year, his defensive partner Jim Thomson said it was the game he remembered playing in above all others, but added: “I still can’t believe Waldron scored the goal. He was bloody rubbish.” The pair remain very good friends. Within a minute Doug Collins was within inches of firing us into the lead and almost immediately goalkeeper Alan Kelly denied James with a magnificent save. A Dobson shot was cleared off the line and Burnley were going for the jugular to get the game won. But there was a sudden realisation that we didn’t need to win the game and we started to play keep ball. As the clock moved on, far too slowly for my liking, the Burnley fans were getting over the walls and creeping to, and then over, the touchline. Long before the final whistle I found myself in the six yard box, just about having a conversation with the underemployed Alan Stevenson. The last few minutes were played out by both teams. Every player on the pitch knew their respective teams had got what they wanted. And then, the final whistle blew and within no time at all the pitch was filling up with jubilant Burnley supporters. Even Bob Lord, from his perch in the directors’ box waved down to the fans and then the players arrived alongside him to take the cheers. The game was over, the season was over, but the day most definitely wasn’t. I left home early that day but I’ve no idea what time I got home. After a few drinks in Preston it was time for the train home and a night out in the one Lancashire town where it really was party time. Goodness knows which Burnley pubs we found ourselves in. We were going up as Champions and deservedly so. QPR won and moved to within three points of us with one game remaining. They couldn’t catch us now. It had been our day. It had been our season and Burnley were heading for the top table of English football once more. Preston North End: Allan Kelly, John McMahon, Eric Snookes, John Bird, Graham Hawkins, Stuart Baxter, Dave Connor, Alex Bruce, Alan Lamb, Alex Spark, Neil Young. Sub not used: Hugh McIlmoyle. 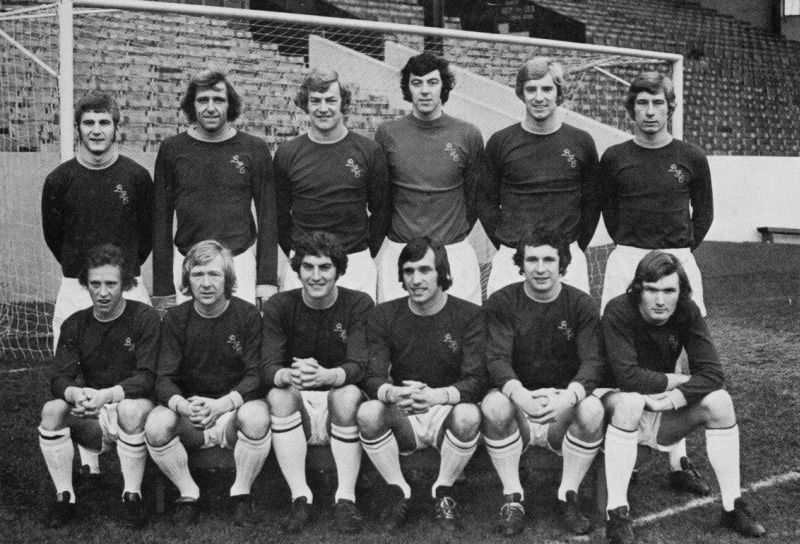 Burnley: Alan Stevenson, Billy Ingham, Keith Newton, Martin Dobson, Colin Waldron, Jim Thomson, Geoff Nulty, Frank Casper, Paul Fletcher, Doug Collins, Leighton James. Sub not used: Rah Hankin. Referee: Mr J. Hunting (Leicestershire).